Talk2Prevent is a great resource, provided from New York State. This site provides parent toolkits, texting toolkit and information on the developing brain of youth. ... They also keep you updated on the latest news surrounding youth substance abuse and have several partner links. 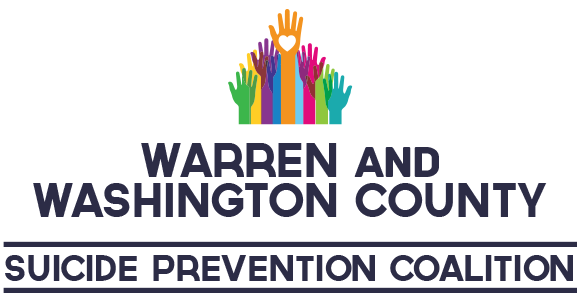 The Council for Preventionfosters healthy communities, schools, families, and individuals. The Council supports and encourages collaboration among leaders, professionals, and community members addressing the issues of mental health, substance abuse, disease prevention, treatment, and recovery. The Center for Recoveryoffers an array of outpatient services to adults and adolescents, including alcohol/substance abuse evaluations, individual and family counseling, group therapy, medication therapy, and vocational services. The Center for Recovery staff includes a psychiatrist, registered nurse, social workers, credentialed substance abuse counselors, and a vocational counselor. Intensive outpatient treatment is available by arrangement according to clinical needs, up to five days per week. Founded where the Mohawk and Hudson meet, like the rivers that shaped our region, Northern Rivers Family of Services helps change lives by shaping the future of those we serve throughout the Capital Region and beyond. We are a family of human services agencies who work together and are committed to helping children, adults, and families. Northern Rivers was formed in 2012 as a necessary response to times of declining resources and increasing demand for services. We are the parent organization to Parsons Child & Family Center (founded in 1829) and Northeast Parent & Child Society (founded in 1888). Our quality of care, depth of programs, combined size, and passion for the mission make us a leading provider. Informed by our 188-year heritage, our 1,400-strong workforce provides services for 14,000 children, adults, and families throughout 36 counties in New York state. JFI believes that awareness and education are the first steps to prevention. We want to establish a Triangle of Prevention by providing students, parents and teachers the tools and resources to help identify and help at-risk youth. This is accomplished through a curriculum unit for students and informational seminars for teachers and parents. The programs provide resources to accomplish this goal. The materials are easy to use and are intended to provide educational information. There is no intent to diagnose or treat suicidal ideation. JFI’s intention is to empower youth, educators and parents to help recognize when young people are in pain and know to get professional help involved as soon as possible. We are group of motivational speakers bringing a message of Sweethearts and Heroes to educate society about the impact bullying has on all of our schools, our neighborhoods, and individuals. Our unique perspective, action plan (for every member of the bullying cycle), and unmatched ignition to make change puts Sweethearts and Heroes at the top of the list when it comes to changing schools’ climates. We also deliver messages of bystander empowerment, empathy and leadership to all audiences, including K-12 students, colleges and universities, teaching professionals and corporations. Children, teachers, parents and all members of society need to know that we all have the potential to be someone’s Sweetheart and the power to be a Hero.